This is super easy and wonderful as a side dish. 1 large winter squash – like Kabocha – Cut into slices about an inch thick. Preheat oven to 350. Cut squash into slices about an inch thick. You can peel it or leave as is. The next time I think I will peel it for easier eating. Arrange on baking sheet. 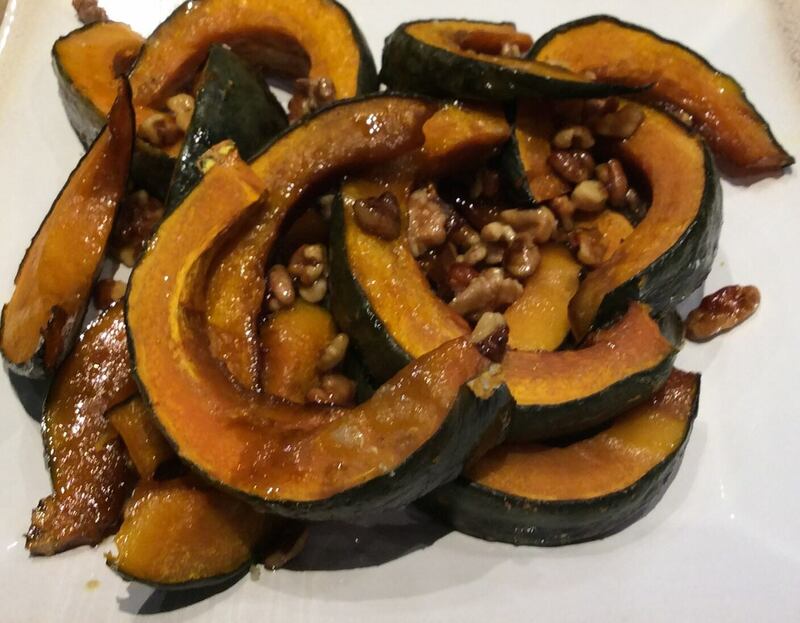 Sprinkle walnuts over the squash. Drizzle with olive oil, Balsamic vinegar, sea salt and Maple syrup or Brown Sugar. Roast until tender and caramelized, about 35-40 minutes. This entry was posted in Uncategorized and tagged Side dish, Squash. Bookmark the permalink.